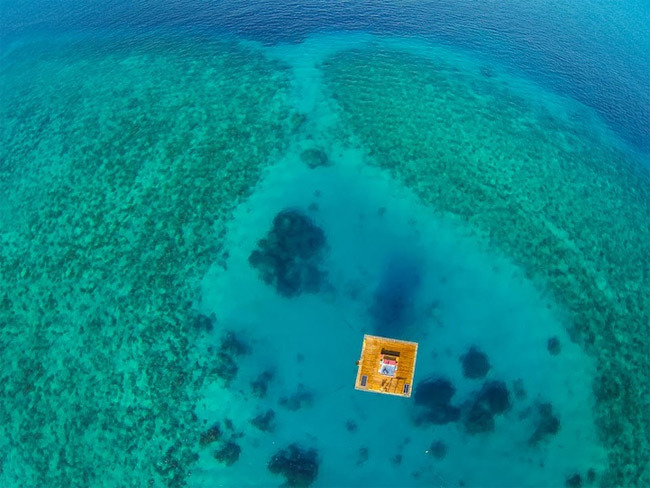 What began as an inspired work of installation art in a Swedish lake has now reached the Indian Ocean island of Pemba. 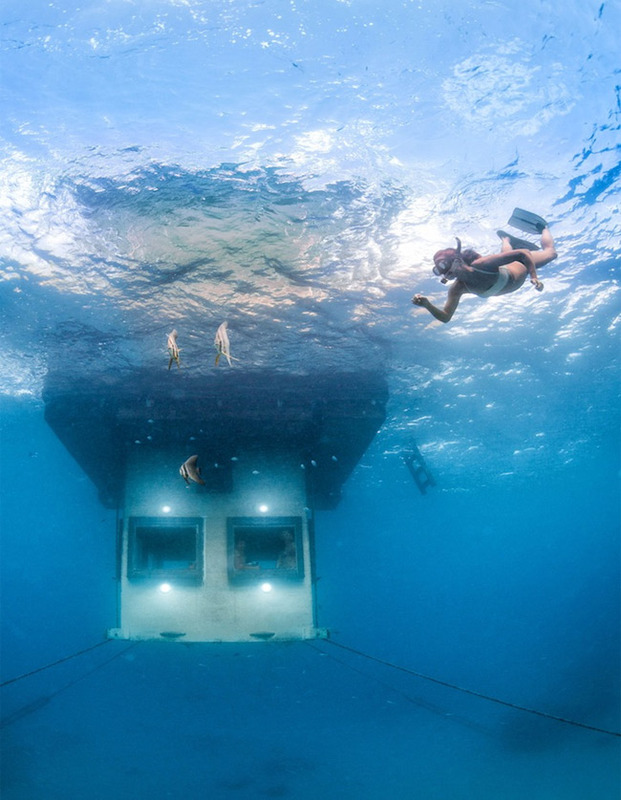 Mikael Genberg, a designer from a company Genberg Underwater Hotels, has chosen to focus on the "making art for the public". A Swedish artist has become famous for his spectacular and sometimes controversial art projects and his most famous creations are the Otter Inn, an underwater hotel three and a half meters below the surface of Lake Mälaren, the Woodpecker Hotel, where guests can look across the city of Västerås from 13 meters up in an old oak tree. Today this artist, designer and architect describes his work as "alternative dwellings". His most recent design is a concept of The Manta Resort. 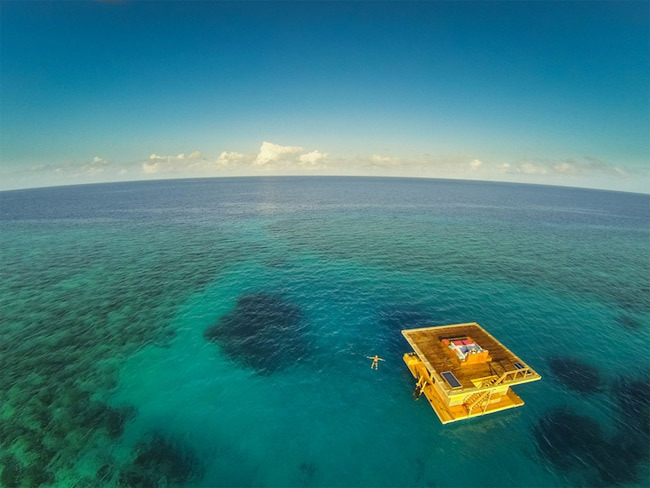 The Manta Resort is a beautiful hotel that is essentially a private architectural island. The island of Pemba floats on the Indian Ocean and takes breath away with it's beauty. The structure is made of local hardwood and it offers three levels for resting. 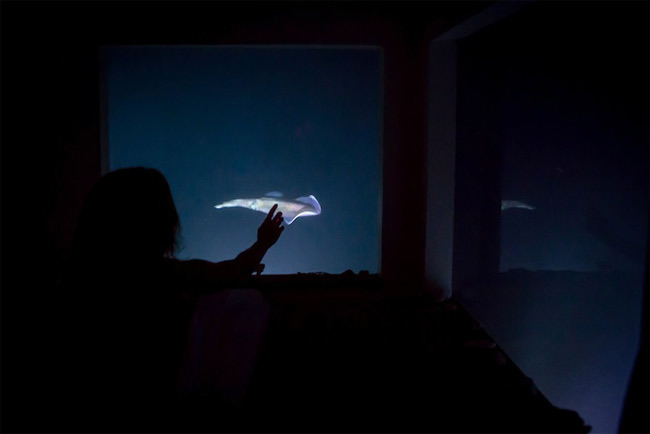 The visitors can enjoy the view from above, below and at the sea level. 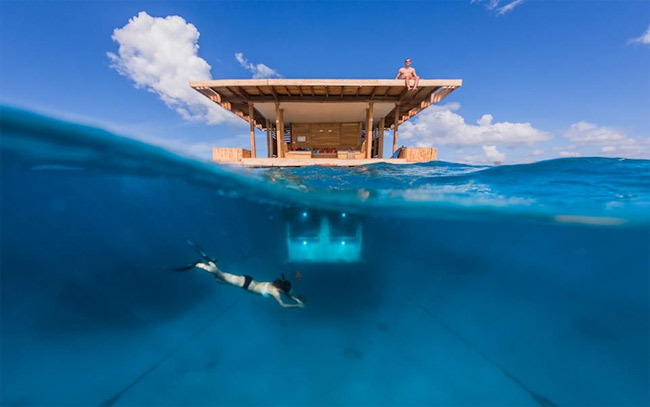 It is not only a spectacular place to rest and enjoy the inspiring surroundings, but it offers an unique underwater bedroom located four meters below the surface. 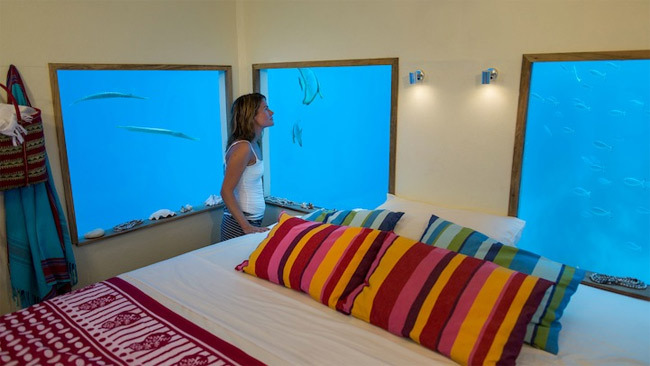 Visitors are given a unique chance to sleep in a plentiful presence of aquatic creatures. 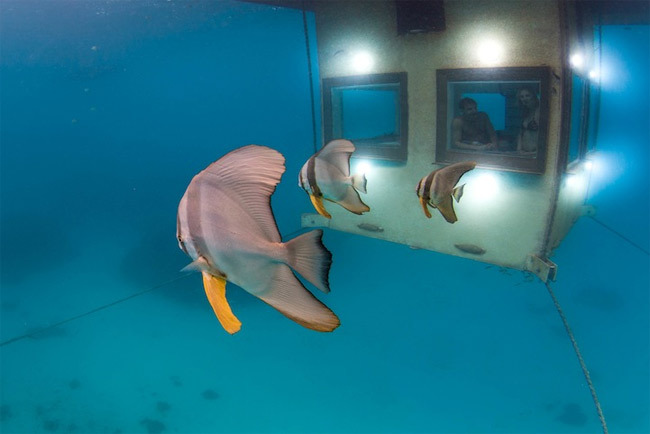 Besides sleeping with exotic reef fish, visitors can climb the ladder to the top deck and dive into the water or simply stay there and soak up some sun, also, staying at the sea level to relax in the lounging area seems like a good idea. The possibilities are endless, and it's up to guest to decide how to spend time there and have the most relaxing holiday, or an amazing adventure.